As per public records and interviews, Russian citizens had interacted with at least 14 Trump associates during the campaign and presidential transition. 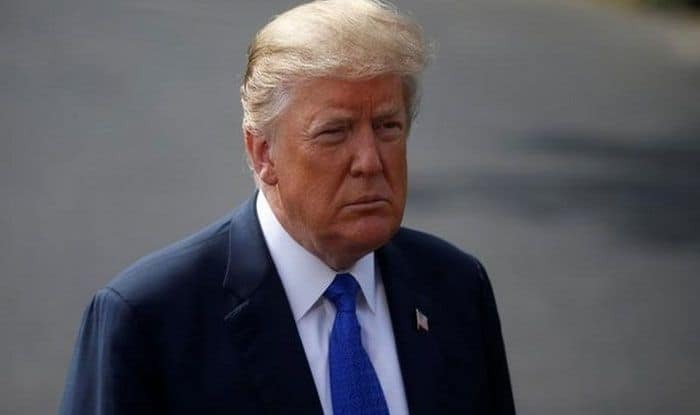 New York: There was no collusion between US President Donald Trump or his campaign in the 2016 presidential election and Moscow, special Counsel Robert Mueller who investigated Russian interference in Trump’s 2016 election said. This comes as a relief to the US President who has decried the Mueller investigation on numerous occasions, terming it as a witch hunt. Reports claimed that Mueller interviewed about 500 witnesses and obtained more than 3,500 subpoenas and warrants of various types, as part of his investigations. 13 requests to foreign governments for evidence were also made as part of the massive investigations. “While this report does not conclude that the president committed a crime, it also does not exonerate him”, the four-page summary by Attorney General William Barr stated. The Mueller investigation was definite that there was Russian interference in the election, but in an insidious and indirect manner. Barr said that Mueller found two main Russian efforts to influence the election. “The first involved attempts by a Russian organisation, the Internet Research Agency (IRA), to conduct disinformation and social media operations in the US designed to sow social discord”, his summary said. The other was Russian government hacking of the computers and emails of the Democratic Party and Hillary Clinton, the Democratic Party presidential candidate, and disseminating the information through WikiLeaks and other sources. Barr noted that Mueller brought criminal charges against several Russian citizens and entities in connection with these activities. The White House and Trump’ supporters exulted that it was an exoneration of the president, whose legitimacy was attacked for two years, but his opponents were questioning if the wording was ambiguous. “The findings of the Department of Justice are a total and complete exoneration of the President of the US”, his Spokesperson Sarah Huckabee Sanders said. Speaking to reporters at a Florida airport Sunday afternoon, Trump said that the dark cloud of suspicion that had hung over his administration since its inception had finally lifted. However, the Democrat head of the House Judiciary Committee, Jerrold Nadler, asserted that there were “very concerning discrepancies” and “Mueller did not exonerate the President”. He added that he would be calling Barr to testify before the Congressional panel. The Democrats demanded the entire report be published and threatened to use Congressional powers to acquire the full report and supporting documents. Legally, the Special Counsel’s report is submitted to the attorney general who has the power to withhold it or release only parts of it. Trump has also supported its release.